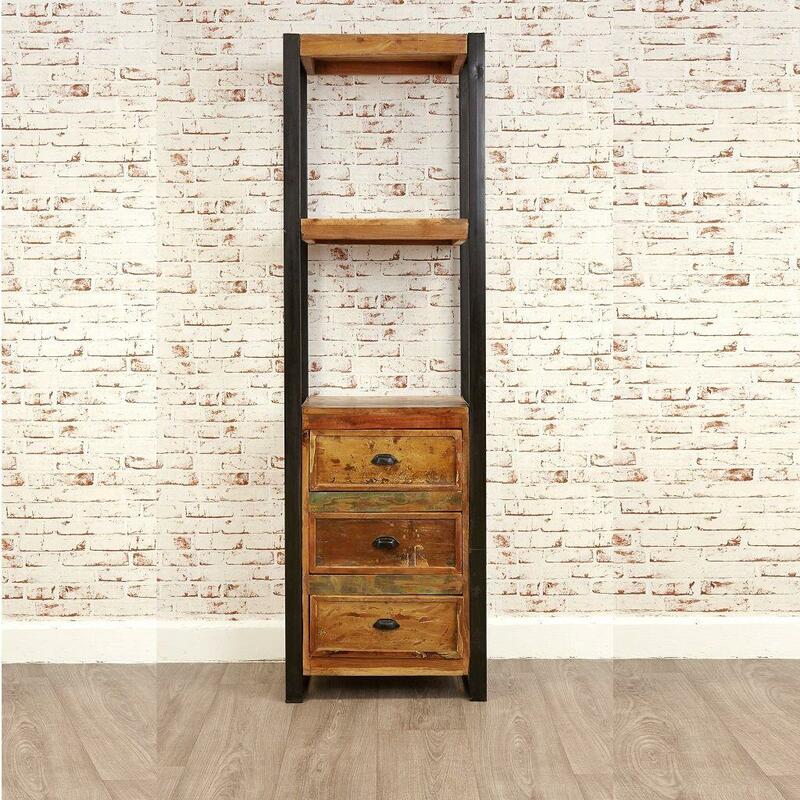 Display your favourite pieces and books and keep other treasures hidden until required, with our Industrial Chic Narrow Bookcase with drawers. 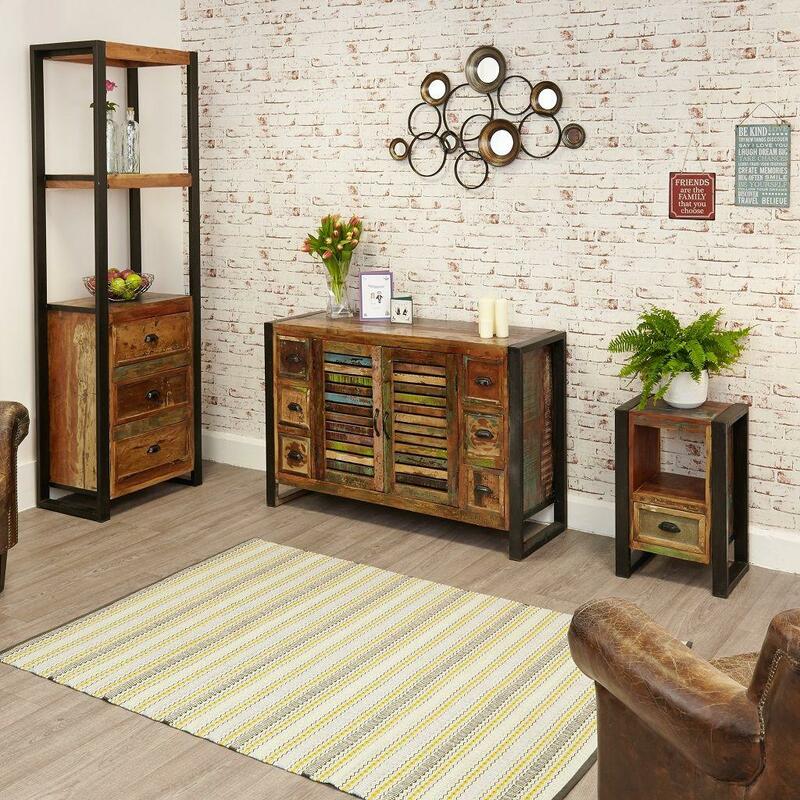 If you're looking for a storage solution with cutting-edge styling and multiple practical uses, this is ideal. The unit has two fixed shelves as well as an additional open shelf at the top. There are also three drawers at the vase which provide extra storage, perfect for any bits and bobs around the home that you want to hide away. 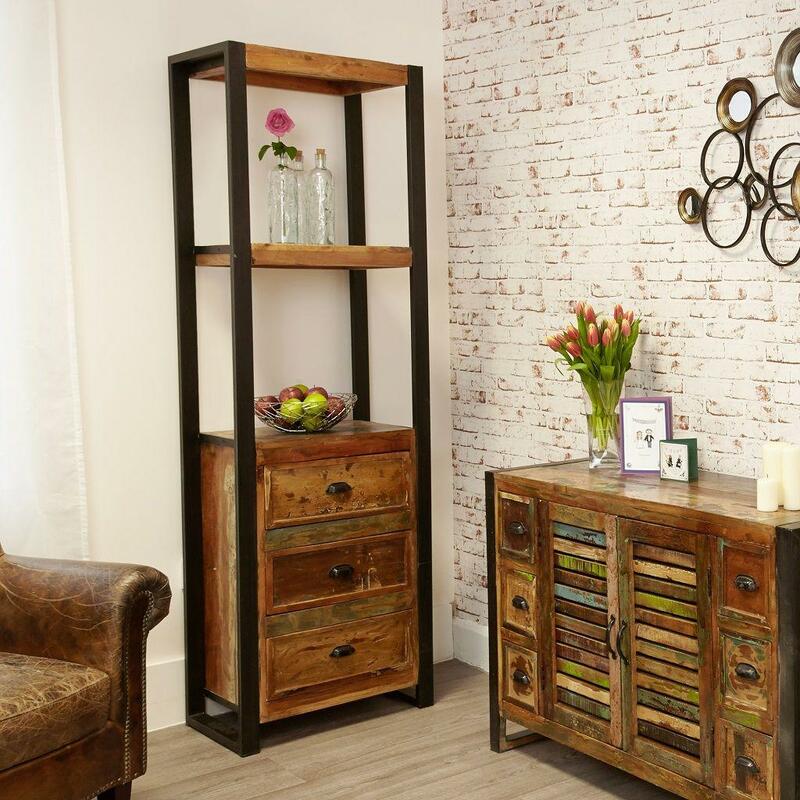 The bookcase is made using reclaimed wood salvaged from old boats and buildings in Southern India, and each piece in the collection is completely unique and hand-finished from a coordinating mix of reclaimed timbers, making each an entirely individual addition to your home. A beautiful outer steel frame made gives the piece a real urban feel, making the structure incredibly strong. 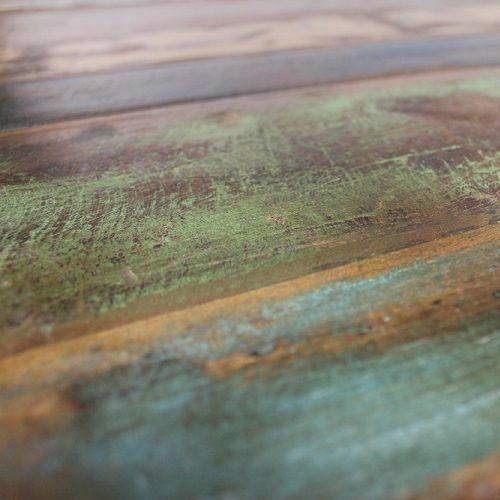 The wood is finished with a resilient satin lacquer, protecting and highlighting the natural wood grain.